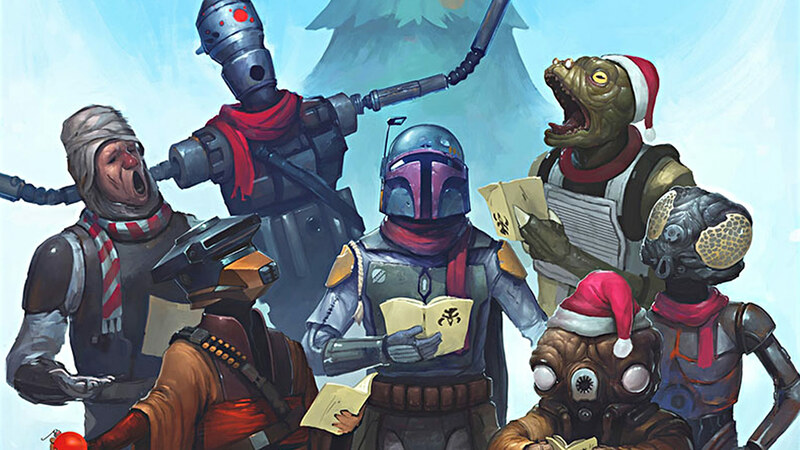 Caroling bounty hunters, an Ewok dressed as Santa, and more from a Lucasfilm tradition. 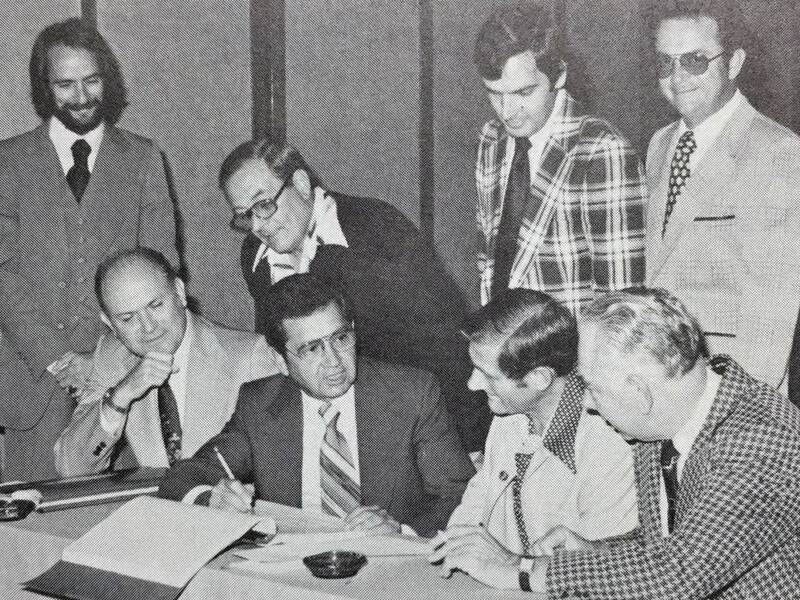 In December 1977, after Star Wars had spent six months taking audiences to a brand-new galaxy far, far away, Lucasfilm began a holiday tradition of sending cards to friends and corporate partners that still continues today. 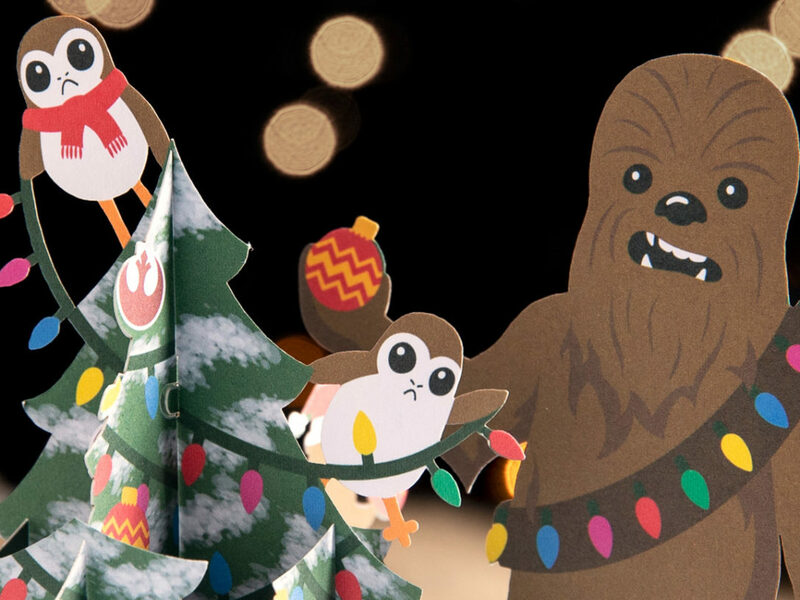 The very first Lucasfilm holiday card, which was an unassuming, Hollywood-themed greeting card, was probably sent to a few hundred recipients in 1977 and then subsequently relegated to the backs of file cabinet drawers — or worse — after the holiday season. 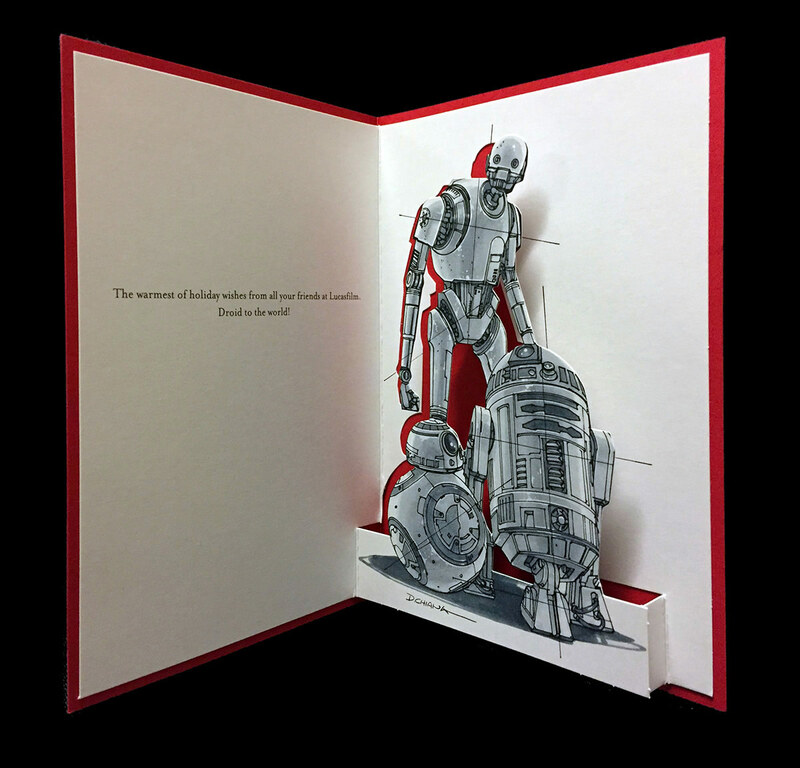 The unfortunate fate of that first card would never be repeated, however, since the following year’s Lucasfilm card would debut two of the company’s most recognizable assets: droids C-3PO and R2-D2, front and center on its cover. 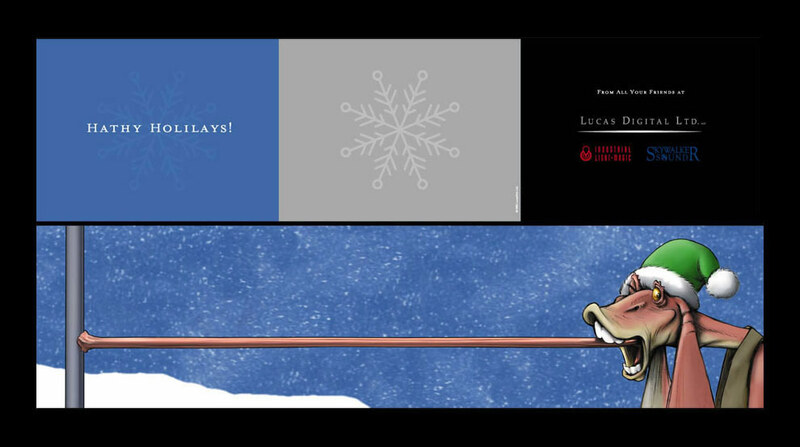 And so began a long line of Star Wars-themed holiday cards issued by Lucasfilm over the years, a selection of which we are featuring here. Fans of legendary Star Wars artist Ralph McQuarrie will be delighted to see several of his works which were exclusive to these cards, with most created between 1978 and 1983. 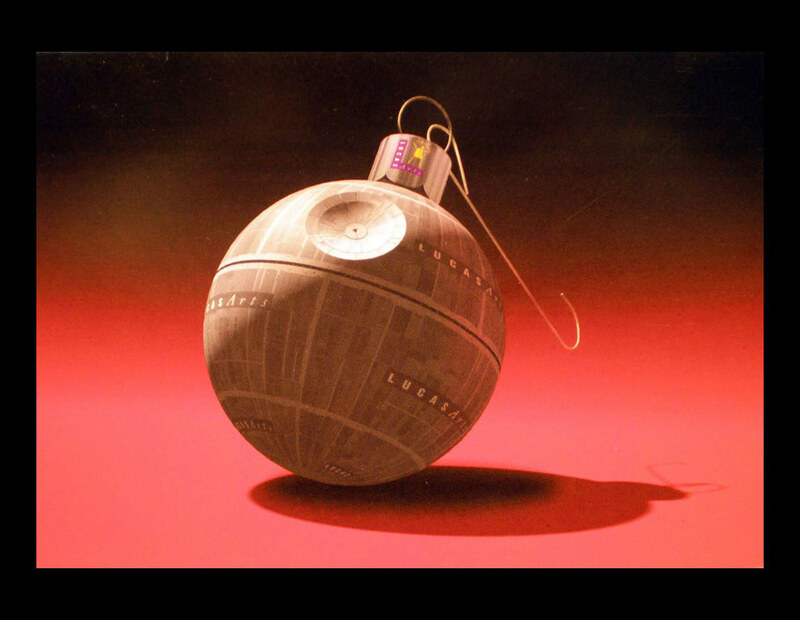 1978 Star Wars, UK: Ralph McQuarrie’s first Lucasfilm holiday card illustration appeared on a rare card distributed by Star Wars Corporation’s (the production company created to make Star Wars) UK office in 1978, which was readying The Empire Strikes Back production. 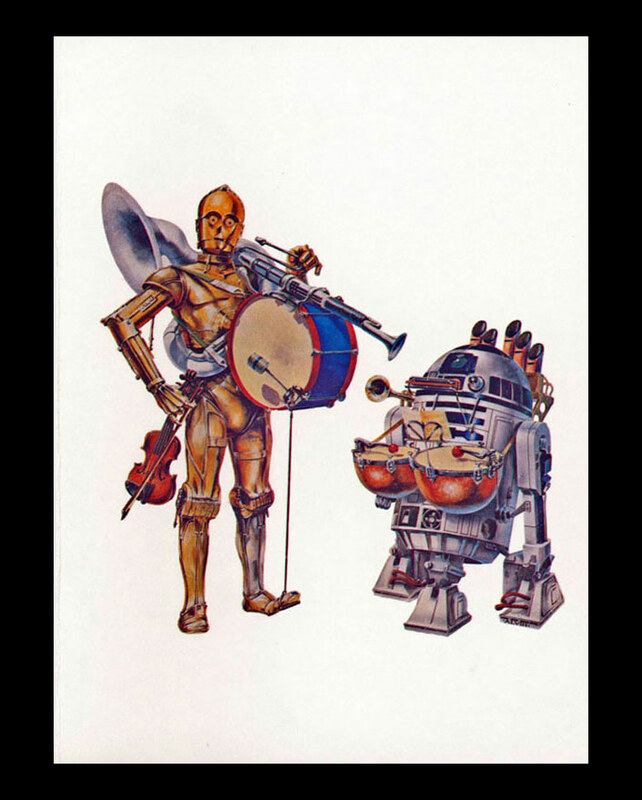 1978 Star Wars, US: For the US 1978 holiday card, the Star Wars Corporation utilized a famous illustration by John Alvin of the droids equipped as a two-man band. 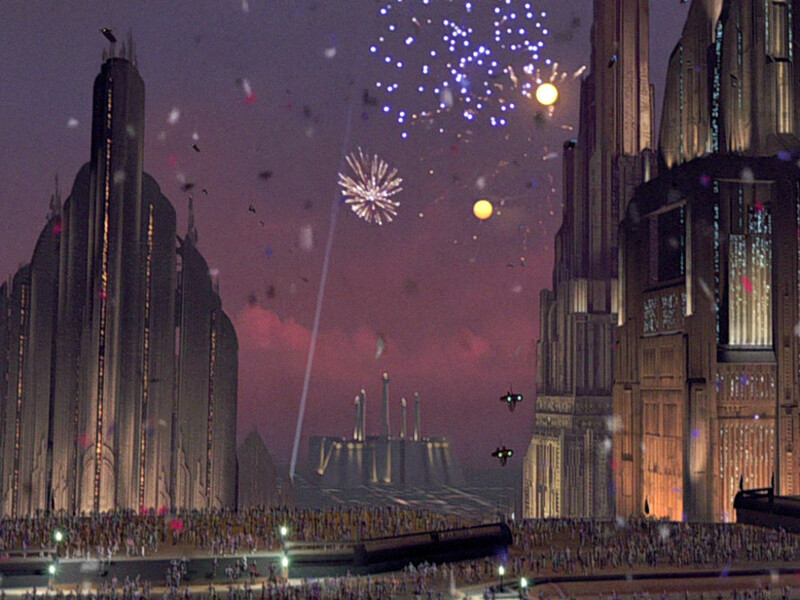 The illustration was originally used on a very rare Star Wars concert poster. 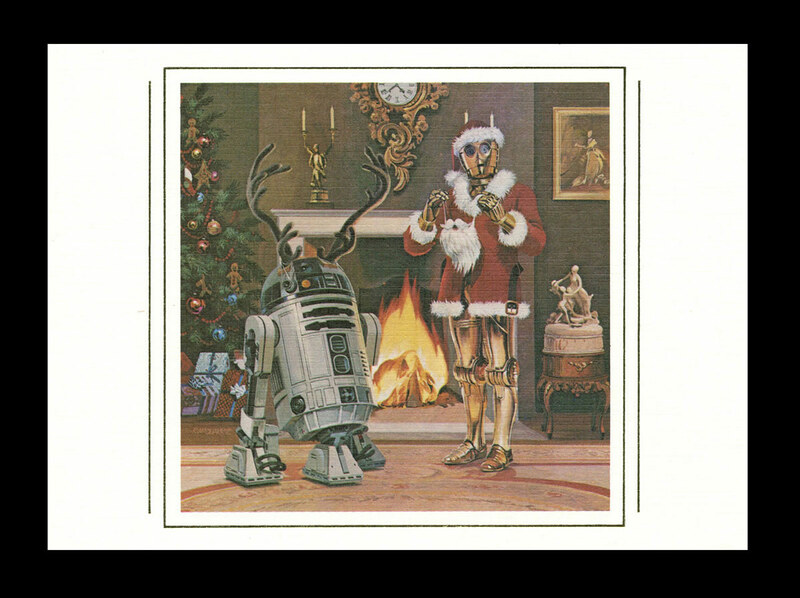 1979 Lucasfilm: R2-D2 and C-3PO shed the musical instruments of 1978 to don more holiday appropriate garb for the 1979 Lucasfilm holiday card, illustrated by Ralph McQuarrie. 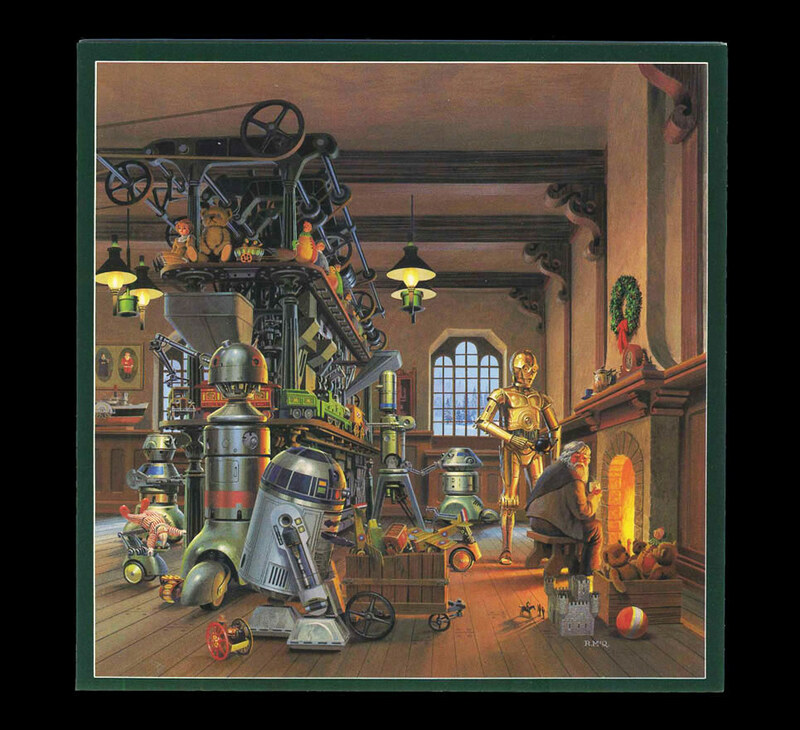 1980 Lucasfilm: McQuarrie’s artwork for Lucasfilm’s 1980 holiday card was also the cover illustration for the only Star Wars Christmas album to date: Christmas in the Stars. 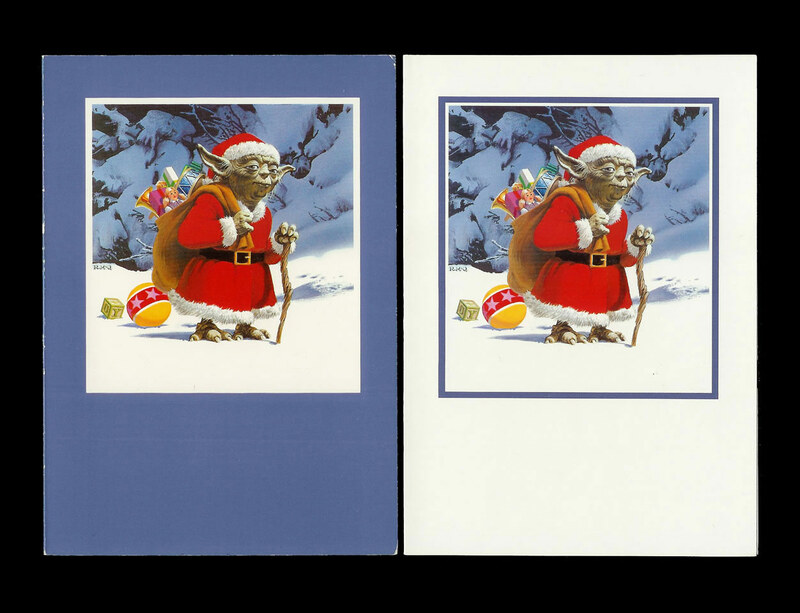 1981 Lucasfilm: McQuarrie’s Santa Yoda actually appeared on two different holiday cards from Lucasfilm in 1981, one blue and one white, giving collectors an extra variant to hunt down (the illustration was resurrected again for the company’s 2012 card, making three variations to find!). 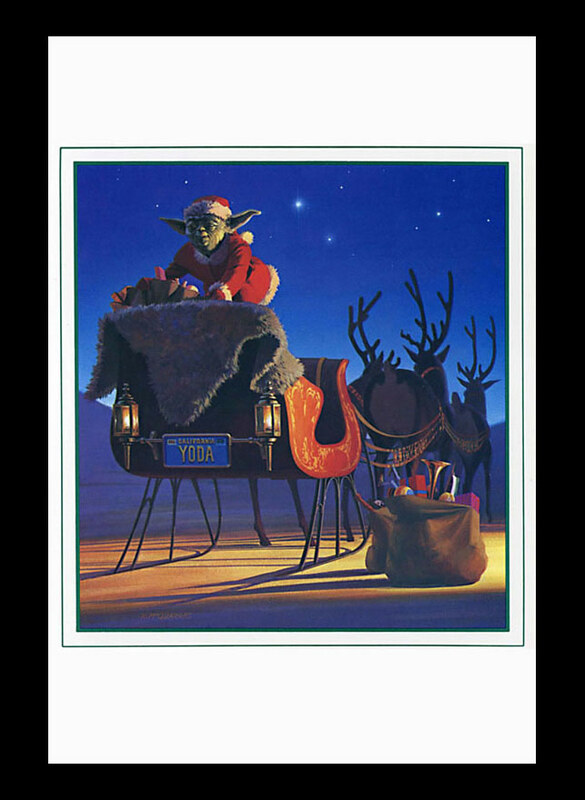 1982 Lucasfilm: This McQuarrie-designed card from 1982 depicts Yoda readying his sleigh, complete with California vanity plate. 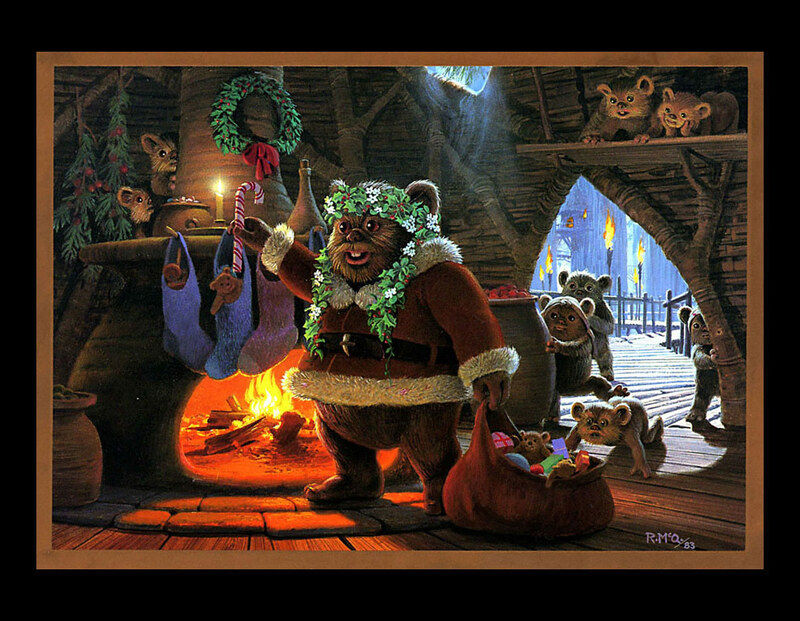 1983 Lucasfilm: Ewoks were the obvious choice to front the 1983 holiday card, as many toy versions of them would be given as gifts to young fans that year. 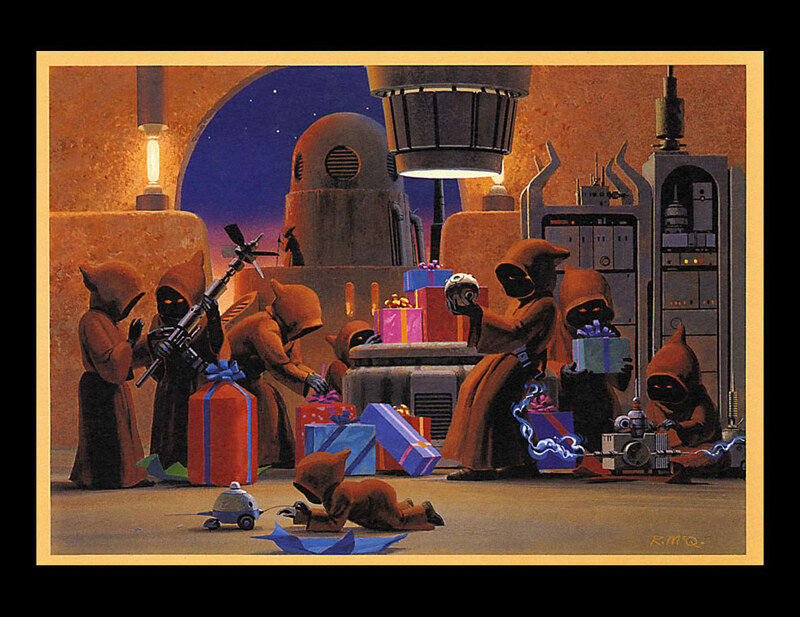 1994 Lucasfilm: Jumping ahead over a decade to 1994, McQuarrie imagined a festive Jawa gift exchange on Tatooine. 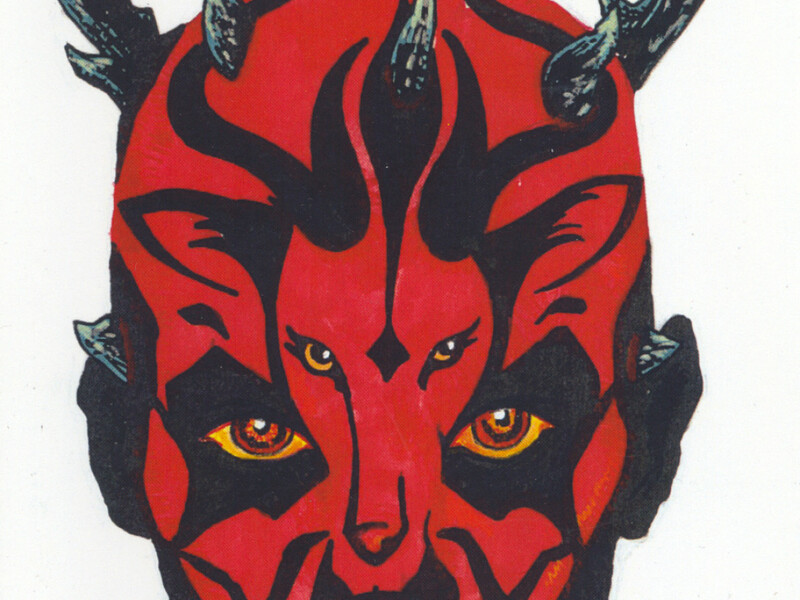 1995 LucasArts: The Death Star gets ornamental in this card from LucasArts in 1995 by Peter Chan and Daniel Colon, Jr.
1999 Lucas Digital: Jar Jar is tongue-lashed for 1999’s inspired fold-out card by Warren Fu and Mark Malabuyo. 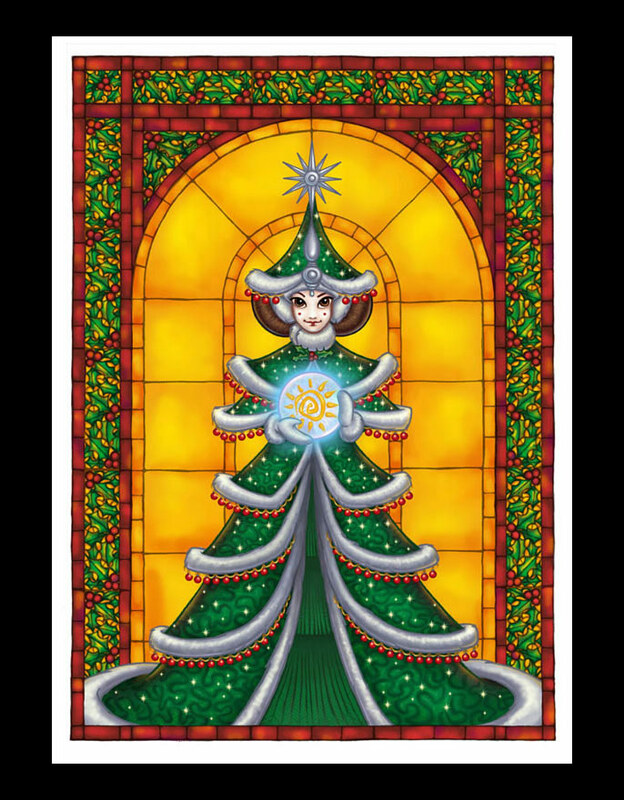 2000 Lucas Learning: Padmé’s dress doubles as a holiday tree in this stunning card from Lucas Learning created by Maryn Roos. 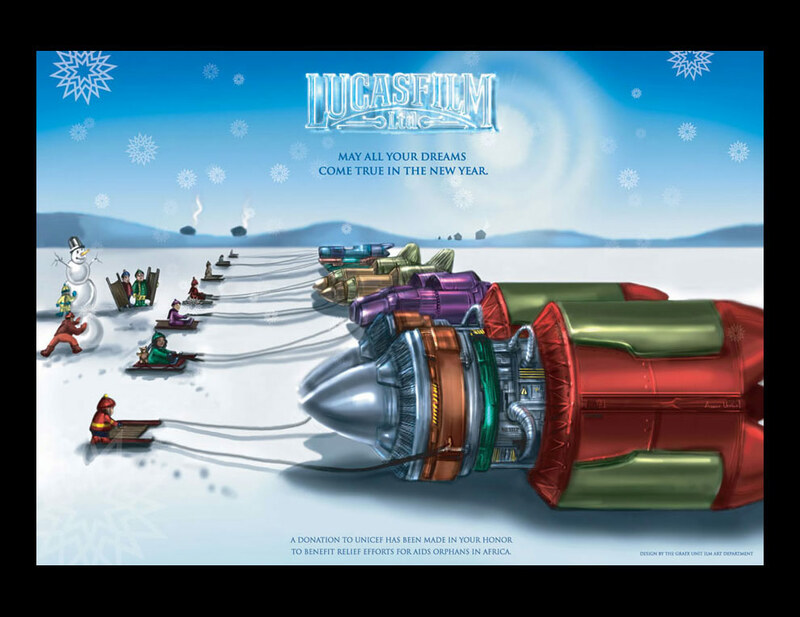 2000 Lucasfilm: Kids on sleds are in for the ride of their lives in this whimsical card from 2000 created by Kathryn Otoshi, Philip Metschan, and Angela Ursillo. 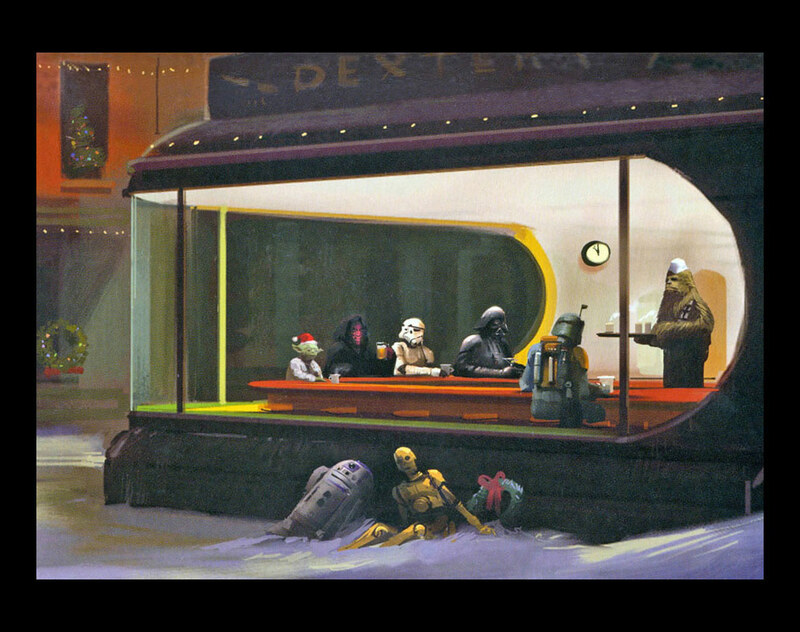 2005 JAK Films: This wonderful take on Edward Hopper’s “Nighthawks” was done by concept designers Erik Tiemens and Ryan Church for Lucasfilm’s JAK Films, the production company set up to create the Star Wars prequels. 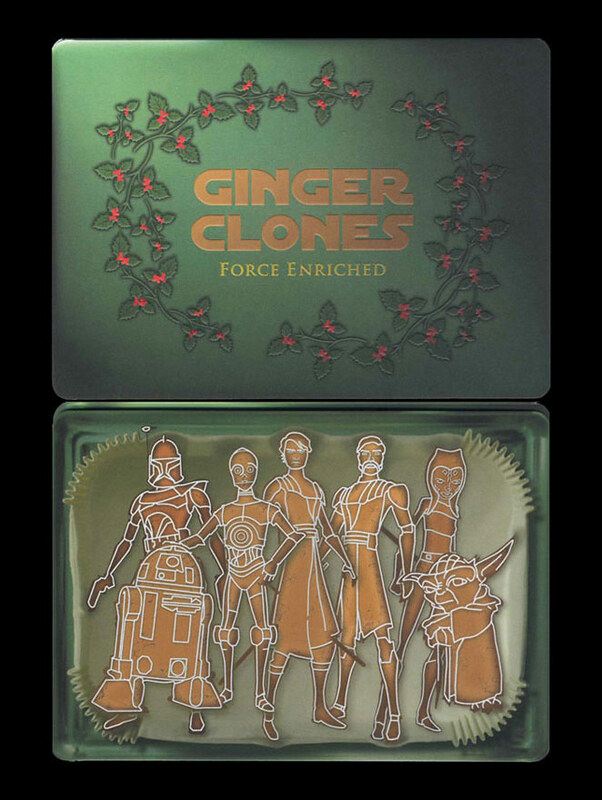 2009 Lucasfilm: The 2009 Lucasfilm holiday greeting card, which dons a festive Clone Wars theme, was designed by artists Harrison Parker and Kelly Smith. 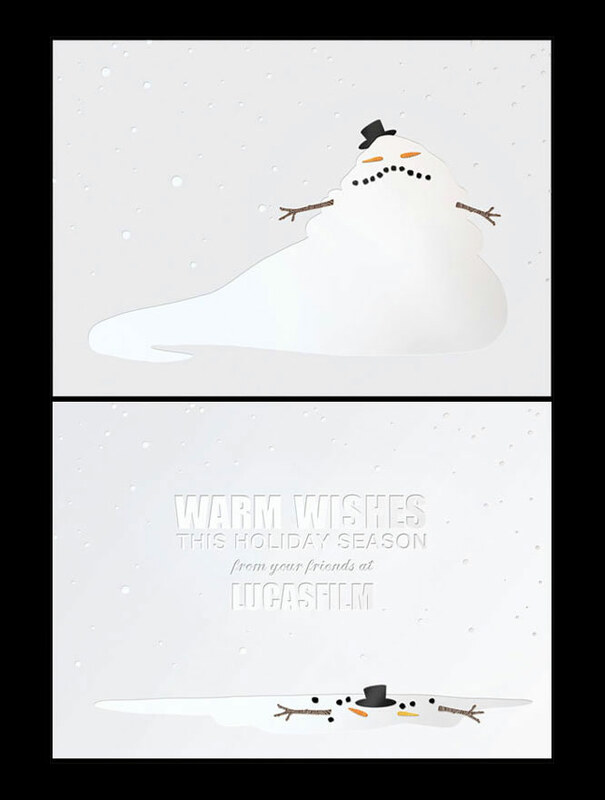 2011 Lucasfilm: Jabba the Snowman was the subject of 2011’s holiday card by Devon Cutler, which visually delivers on its warm-wishing sentiment. 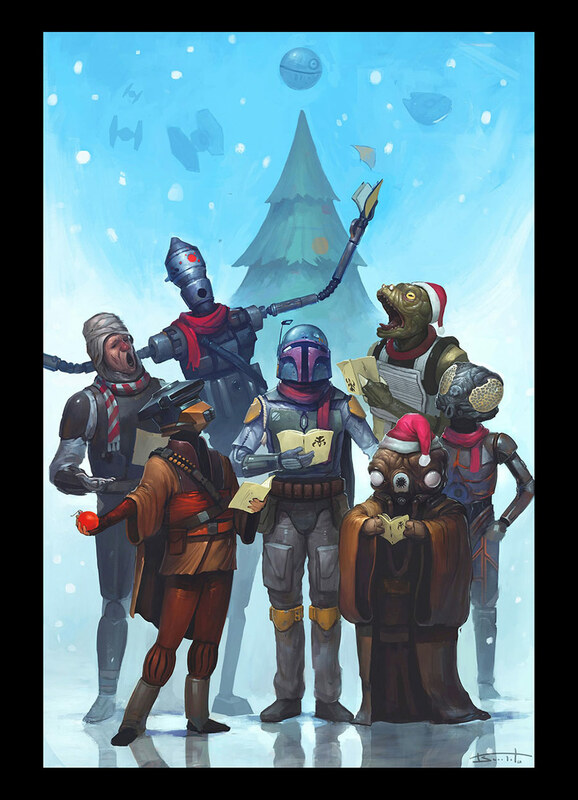 2013 Lucasfilm: ILM artist Tyler Scarlet designed this troupe of caroling bounty hunters, taking some creative liberty devising mouths for some of its vocally-challenged members. 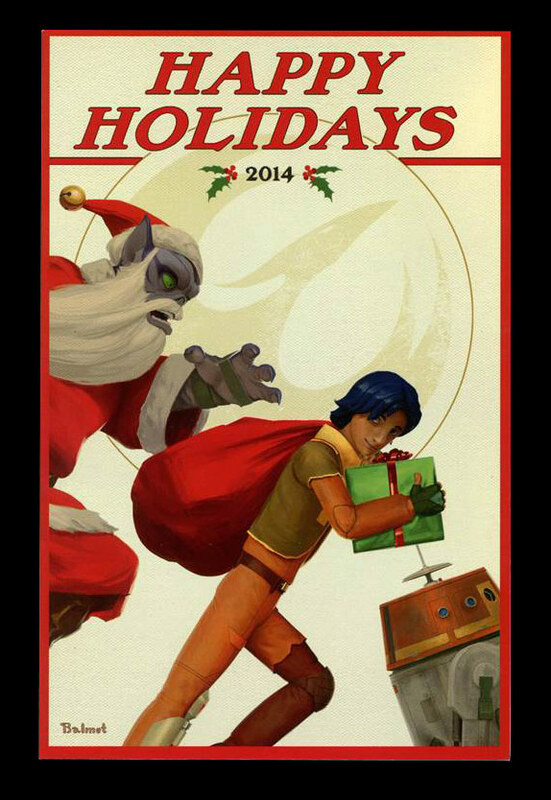 2015 Lucasfilm Animation: This stylized illustration of Ezra and Zeb from Star Wars Rebels was designed by Lucasfilm Animation’s JP Balmet, and is reminiscent of the iconic covers for The Saturday Evening Post. 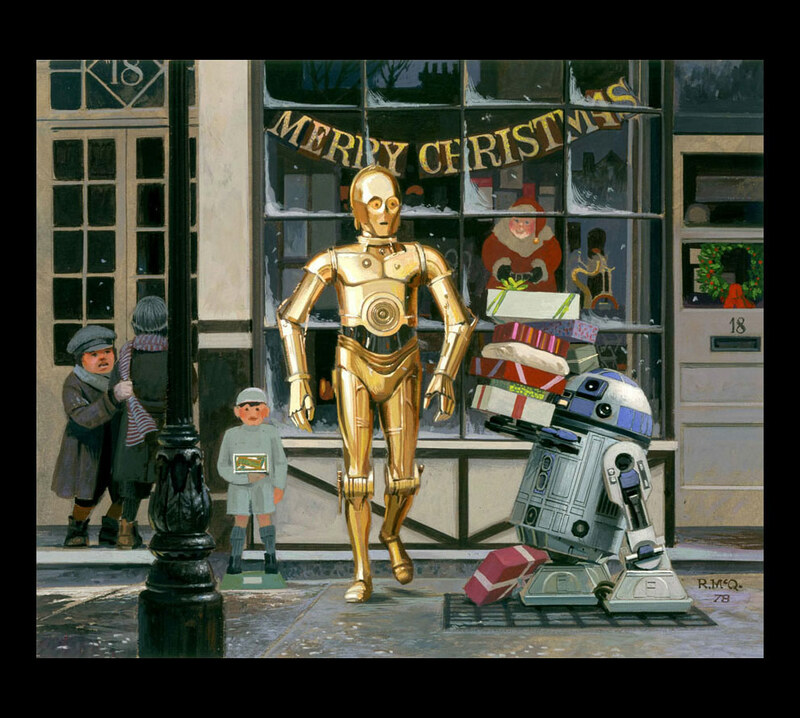 2016 Lucasfilm: ILM concept artist Doug Chiang created this stunning pop-up illustration of K-2SO, R2-D2 and BB-8 for Lucasfilm’s 2016 holiday card. 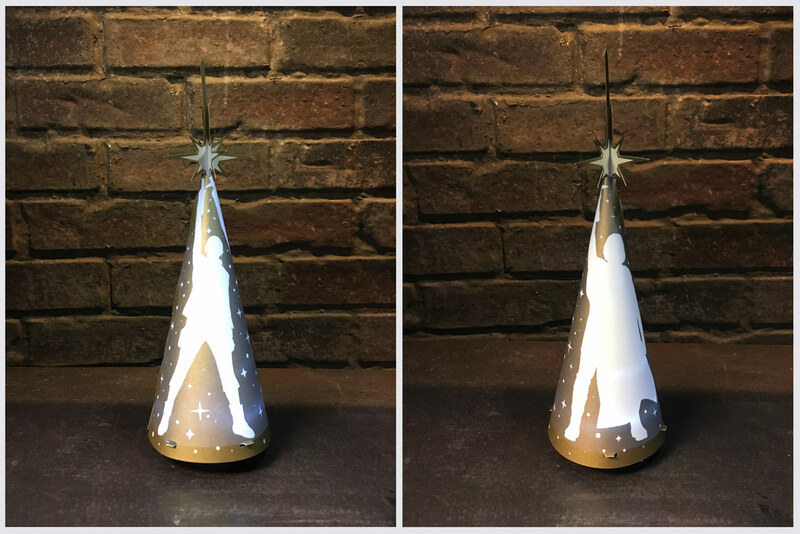 2017 Lucasfilm: Lucasfilm’s Hez Chorba designed the latest holiday card for 2017, which depicts Rey and Kylo Ren on opposite sides of a “tree” illuminated from within by a tea light. 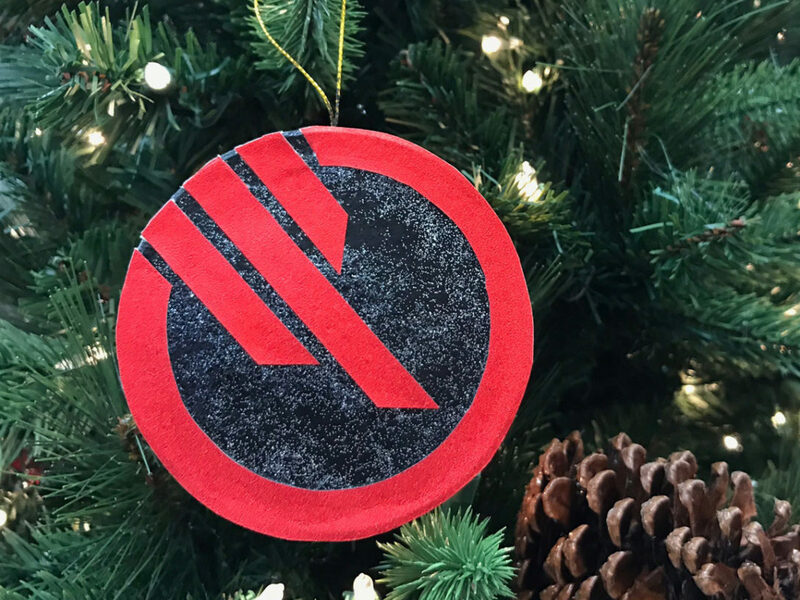 Happy holidays to everyone from your friends at Lucasfilm!